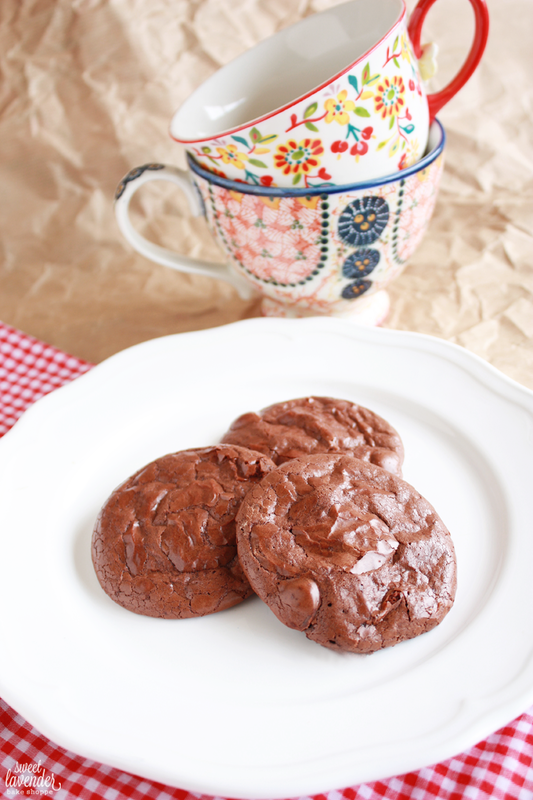 Sometimes you need a chewy chocolate cookie like, yesterday. You don't have time to sit there and let butter come to room temperature, don't want to whip out the stand mixer, or heck- even your hand mixer. You just want to throw ingredients into a bowl, mix them together, and make a dang cookie. These cookies are just that. They're quick, SUPER easy to make, use very little ingredients and ingredients you most likely already have at that. You know, because you rock. They're crispy around the edges, super chewy in the center- almost meringue like even. They're very chocolaty and even better with a few semi-sweet chocolate chips added to the mix. They're flourless which means they're also gluten free. Score. Share with your gluten free friends. Or not. 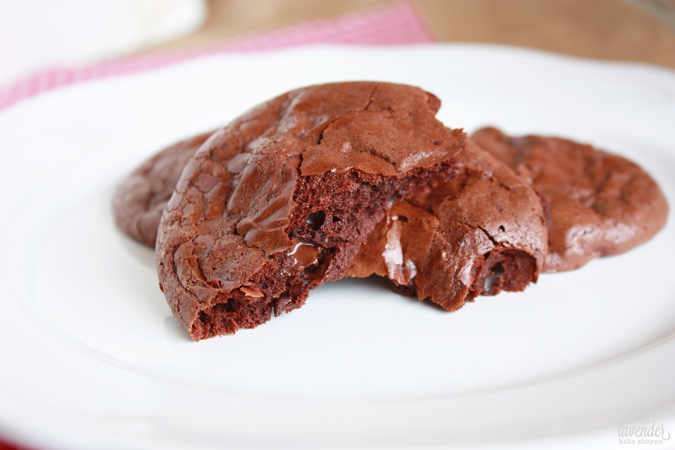 Light, fluffy, gooey, quick, yummy and packed full of chocolate? Yes please. Yes. 1. Preheat oven to 350°F and make sure oven racks are in the center of the oven. Line two sheet pans with silpats and set aside. 2. In a large bowl, whisk together the powdered sugar, cocoa powder and sea salt. 3. Switch to a firm rubber spatula or wooden spoon and mix in the egg white and 1/2 whole egg. Combine thoroughly. 4. Once completely combined, mix in chocolate chips if using. 5. Using a 1 1/2" ice cream scoop (or tablespoon), scoop dough (which will seem loose and sticky) onto silpats about 2" apart. 6. Bake in the center of your oven for about 14 minutes, turning pans half way through baking time to ensure even cooking. Cookies are done when they have puffed and cracked slightly, edges are crispy and centers are JUST set. Do not overbake! 7. Allow cookies to cool completely on pans before removing. If you've got 20 minutes, you've got yourself some pretty tasty cookies. This is such a sweet post - I love how you share so much of yourself and your life and your friendships and your marriage and, and, and..... very much enjoy it all! Blessings to you and yours. Have you ever doubled this? An 8x8 sounds like but enough cake. Any recommendations on making this as a 9x13? Well,I only got 20 truffles. I could maybe stretch it to 24 next time, but 32? No. Rich and delicious though! I'll just double the recipe next time.